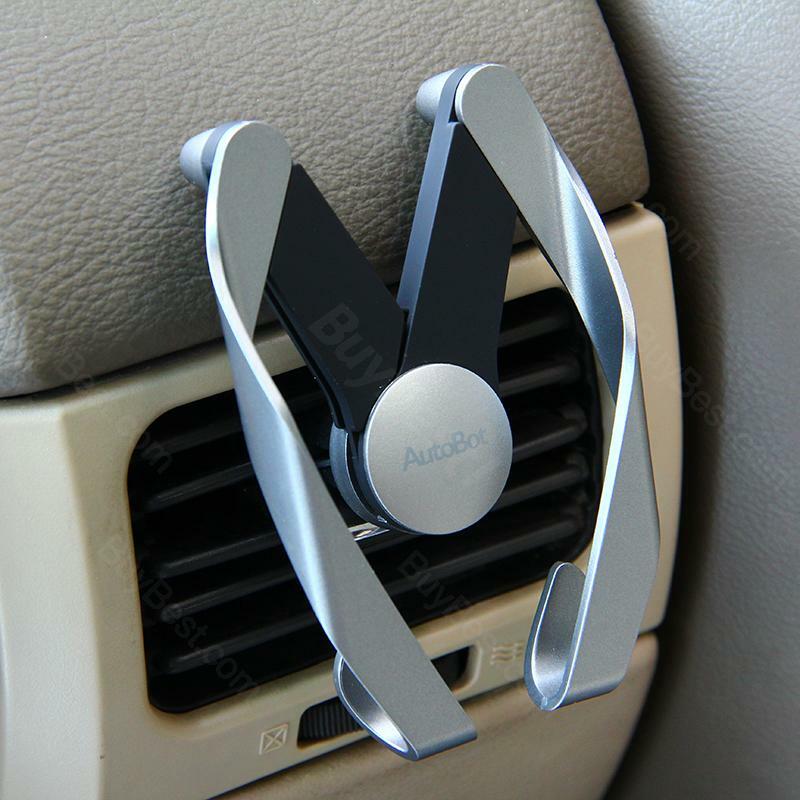 This Car Phone Holder is perfect for your air vents. It is compatible with most mobile phones, espically iPhone 5S/6/6 Plus/ Samsung Galaxy A9. It works exactly as you’d want and expect it to. It strongly holds my iPhone 10 without causing any magnetic interference. It holds strongly to the vent slat in my car and looks very cool. This is exactly what I wanted. Very cool hi-tech feel design. Holds my I-phone 6 well. It is useful and safe when I need to use my phone for direction.